Before starting, I wish to apologize to Pastor Randy, everyone at his church, and any Christians who may be offended by what I’m about to say. I’m sorry but the Church isn’t perfect. It’s full of flawed human beings (I know, I’m one of them). Last Sunday, one of those people proved it and I’m proving it again by even talking about it. I probably shouldn’t. I almost didn’t. But I decided in the end that this needs to be said, not to injure the Church but to help it improve. It’s doubtful Pastor meant to say they were, at least in a first century context (today is another story), but so many Evangelical Pastors believe that with the so-called “birthday of the Church” in Acts 2, God had declared Judaism (and possibly the Jewish people) obsolete and replaced by Christianity and the Church (neither of which existed as we understand them today at that point in history). Actually, I really liked today’s (as I write this) sermon. Pastor really shines in his knowledge of Biblical history as well as the languages involved, and he brought out many details I thought were important and illuminating. At the same time, I could see the “lights” dim in the eyes of some of the people around me as Pastor may have (for them) gotten a bit too historical and scholarly. He also delivered a welcome and rousing speech condemning anti-Semitism and the shocking fact that there are some two-hundred neo-Nazi organizations in the U.S. today that teach adults and children to hate and kill Jews and other minority populations. Anti-Semitism should not exist in our world, especially post-Holocaust. The only thing he left out was how for nearly all of the history of the Church, we have been one of the chief supporters of anti-Semitism, pogroms, forced conversions, torture, and murder of countless Jewish people, not to mention the numbers of synagogues, Torah scrolls, and volumes of Talmud we’ve destroyed “in the name of Jesus”. Thankfully, Christians don’t participate in such actions today, but there’s an echo of that same sentiment toward Jewish people we can still hear in our churches right now, including in the Sunday school class I attended a few hours (as I write this) ago. In reading Paul recite his own history about how he so zealously opposed the Messianic Jewish movement of the Way, I realized the Bible never directly addresses why Paul embraced such murderous hate of the movement. What did it mean to him personally? Why did he make it his special mission to eradicate Jewish Jesus-believers? Typically in the late second Temple period, the Way was opposed by other Jewish groups because of it’s unusually wide acceptance of Gentiles as equal co-participants in Jewish religious and social space without the requirement of the non-Jews undergoing the proselyte rite. The Jewish crowd, that had previously assaulted Paul because of the mistaken belief that the apostle had taken a Gentile into the Temple, up to this point, was (presumably) calmly listening to Paul relate his first encounter with Messiah, even describing how Yeshua appeared to him in a vision of light, and that he heard a Bat Kol from Heaven. Seemingly, they did not object to Paul’s assertion that Yeshua was Messiah and even that he could speak from the Divine realm. They only became once again enraged when Paul mentioned the Gentiles. But when Paul previously opposed the Way some thirty years before, it was early enough in history that there would have been few, if any Gentiles participating in the Messianic Jewish movement. Paul’s motivation couldn’t have been Gentile involvement. But what else could it have been? Jewish objections to Jesus were never about claims of his being Messiah. Would-be Messiahs came and went in Judaism all of the time. The worst Jesus and his followers could have been accused of was being wrong, but being wrong is hardly blasphemy. What would have been considered blasphemy was a man declaring himself co-equal with God. This is why the High Priest tore his clothes. This is what got Jesus killed. This is what the Jewish people found so incredibly offensive and wanted to exterminate. Paul (Saul) was present at the defense of Stephen (Acts 7) and heard the disciple of the Master state, “Behold, I see the heavens opened up and the Son of Man standing at the right hand of God” (Acts 7:56), declaring Yeshua co-equal with God. 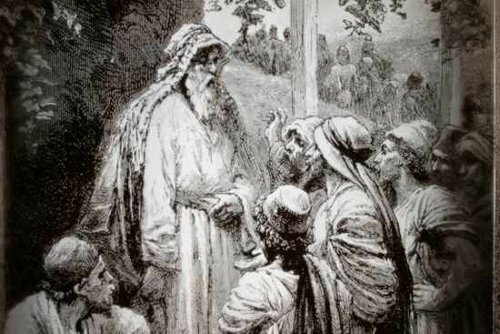 Saul willingly held the cloaks of the men of the Sanhedrin as they drove Stephen outside the city and stoned him to death. This may have been the genesis of Paul’s hatred of the Way, a sect of Judaism that went one step too far in not only following a (presumably) dead man as Messiah, but believing him to be co-equal with God and God Himself. So in opposing blasphemy, from the point of view of most Jews of his day (or for that matter, ours), Saul was in the right (even though it turned out he was wrong). The only thing really questionable was how personal his hatred of the Jewish Messianics seemed to be. We can speculate as to Saul’s reasons, but the Bible is silent as to what they might have been. So in Acts 9, Paul did not “convert to Christianity,” but he did have a supernatural and highly personal encounter with the Master, strong enough to override all of Paul’s previous motivation and set him on a new track. That track however, was one that was completely Jewish and might even be described as “Pharisaism with a Messianic twist”. By his own admission, Paul’s beliefs and practices were still totally consistent with being a Pharisee and a zealot for the Torah, but he was most of all a zealot for Messiah within a completely Jewish lived reality. Although I thought Pastor’s sermon was very good with just a few slight wrinkles, Sunday school was another story. You may recall from a previous blog post how my wife had pointed out my arrogance, and as a result, I began to reevaluate my role in the church. Out of that, I resolved, at least for a time, to remain silent in Sunday school. I mentioned to the teacher before class got started that I would be keeping quiet, and he honored that by not posing me with any questions. There were more than a few times during class when I regretted my decision, although I still think it was for the best. Oh sure, the non-believing Jews who opposed Paul were called “satanic” for their devotion to the Law and their rejection of Jesus (although nowhere in the narrative we were studying does it mention them rejecting Jesus at all). Teacher likes to label non-believing Jews as “influenced by Satan” from time to time, and I’ve called him on it in the past. He can’t seem to imagine the actual motivation and reasoning involved in first century Jews not understanding Gentile equality in a Jewish social and worship venue. I’ve noticed some Christians often treat the people they encounter in the Bible as “characters” playing out some sort of artificial role in a “Bible story,” as if they weren’t (and aren’t) real, live human beings in actual human situations. But a number of people in class were sort of chuckling at the “ignorance” of the Jewish mob who had finally settled down and was listening to Paul’s words, and how they had a “hissy fit” upon Paul’s mention of the Gentiles. At one point, a gentleman piped up complaining about all the accusations of “anti-Semitism” against Christians and wondering if there was some sort of opposite sentiment like Jewish “anti-Gentilism” (I suppose he was thinking along the lines of something like reverse discrimination, but depending on your point of view, that may or may not exist). That’s when I started gritting my teeth. It’s incredible that anyone who has studied the Bible for any length of time (this person, by the way, seems well-read and intelligent) can miss why, especially on one of the three major pilgrim festivals on the Jewish religious calendar, Jews would be highly sensitive to Gentiles invading Jewish worship and social space in the Temple (which was what they were reacting to). For cryin’ out loud, the Romans had invaded the whole blamed country and were occupying it. The Jewish nation was hip deep in oppressive, cruel, dictatorial Gentile Roman soldiers. Who responded to keep the peace when the Jewish mobs rioted? The Roman soldiers. Why? Because Rome had control of Israel and jurisdiction over Jerusalem, including on the Temple Mount where the riot occurred. Of course the crowds of Jews, both native to the Land and from the diaspora, millions of them inhabiting Jerusalem during the festival of Shavuot, would have been incensed at the very idea of Gentiles taking even more away from the Jewish people than they already had. Believe me, if you were a Jew in that situation, you’d probably have “lost it,” too. I stayed silent and no one else spoke up. Remember those echoes I mentioned before? This was one of them. 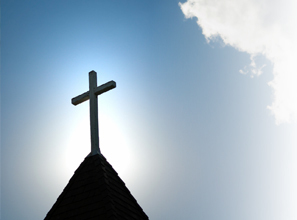 I’ve already got enough theological and doctrinal issues to address in church as it is. I don’t want to find something like this on top of it all. I know it might seem like a small thing to some, maybe to most people. Maybe it’s just that I’m married to a Jewish wife and have three Jewish children. 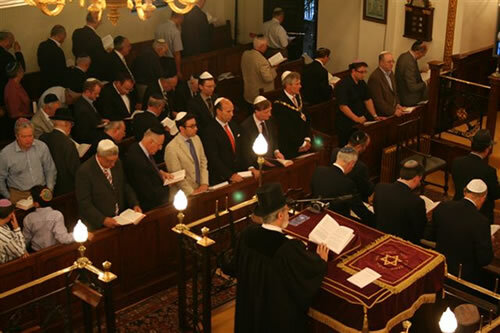 But the Church, including each and every individual in my little local church, won’t truly make Pastor’s dream of a world without anti-Semitism come true until we really start treating the ancient and modern Jews like real people with real concerns instead of caricatures or stereotypes used only as “bad examples” of religion without Christ. My Sunday school teacher made a point several times in class to emphasize how, when we believe we don’t like someone, to look deeper and to find what is good in them rather than focus on what we dislike. In complaining about the Jewish crowd who opposed Paul as displaying “anti-Gentilism” and failing to see why they would feel and act as they did, one Christian gentleman overtly failed in that mission and by not speaking up, the rest of us silently agreed that we didn’t have to look past Jewish anger to see Jewish hurt, fear, and vulnerability. We always read these “Bible stories” supporting Paul and the rest of the believing Jews and Gentiles, and imagining the Jews who were “persecuting the Church,” including Saul back in the day, as fools and villains. The Church exists in a post-missionary, crypto-supersessionist space, even now, relative to the Jewish people and Israel. If I would have called this gentleman on his comment, I don’t think it would have done any good. I’m an outsider, an anomaly in Christian religious and communal space. The rest of them had heard the Pastor’s plea to end prejudice against Jews in the Church. But at least one person didn’t think it applied to him. Matters leading to sadness fall into two categories: matters that can be corrected and matters that cannot. If something can be done to correct a situation, why feel sad? Simply take action to correct the matter! On the other hand, if nothing can be done, what gain is there in feeling sad? Sadness will not improve matters. It is wiser to accept what cannot be changed. 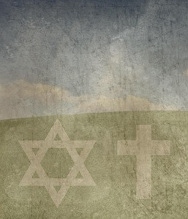 Tonight at sundown begins the Festival of Shavuot which I commented on a few days ago. As long as even one believer thinks the “birthday of the church” completely overrides this moed’s meaning to God’s chosen people, the Jews, the Church will never be free of its anti-Jewish history. One last thing. I’m often critical of the Church, not because I’m into “Christian-bashing” but because I believe that the Church, the Gentile Jesus-believing ekklesia, is good. But it could be a whole lot better. I’ve defended the Church more than once, and one of the defining qualities of Christianity is love of one’s neighbor and fellowship. I know I’m only one man, but I can see this so clearly. We need to do better, a lot better. We need to see the Jewish people and Israel as God sees them. Only then can we fulfill our own purpose as the people of the nations who are called by His Name to be the crowning jewels surrounding and uplifting Israel and her King Messiah. The Jewish-Christian schism in Late Antiquity has been studied from numerous points of view. This paper will approach these events by investigating the manner in which halakhic issues (questions of Jewish law) motivated the approach of the early Rabbis to the rise of the new faith, and the manner in which Rabbinic legal enactments expressed that approach as well. The eventual conclusion of the Rabbis and the Jewish community that Christianity was a separate religion and that Christians were not Jews, was intimately bound up with the Jewish laws and traditions governing personal status in the Jewish community, both for Jews by birth and proselytes. These laws, as known today, were already in full effect by the rise of Christianity. In the eyes of the Rabbis, the evolution of Christianity from a group of Jews holding heretical beliefs into a group whose members lacked the legal status of Jewish identity and, hence, constituted a separate religious community, brought about further legal rulings which were intended to separate the Christians from the Jewish community. Schiffman seems to be saying that prior to the destruction of the Temple, he believes that Jews who believed Yeshua was the Messiah and even Divine wouldn’t have caused any sort of rejection from the larger Jewish population or authority structures since there were multiple streams of Judaism in operation, with the general expectation that they were going to disagree with each other. The destruction of the Temple was the catalyst for many things, including Jewish dispersal, the apprehension of Gentile leadership of “the Way” for the first time, the power surge of Gentiles entering that Judaism, all resulting in the shift from Messiah worship as a Jewish religion to Christ worship as a Gentile faith. 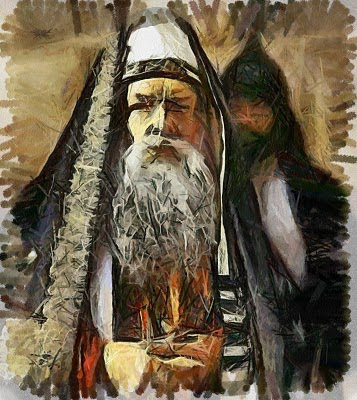 As Schiffman said, the Pharisees were the only Jewish stream to remain intact after the Temple’s fall and while “the Way” also survived, it took a divergent trajectory, leading it away from Judaism, so by default, the Pharisees became the foundation for later Rabbinic Judaism. Schiffman is being very “gentle” in his treatment of this topic. I can see a blog post coming out of this in the semi-near future. Thanks for sending the link. Of course, Schiffman also said that Jews who had faith in Yeshua (Jesus) as Messiah were holding “heretical beliefs,” so I guess he wasn’t all that gentle, but he still seems to be treating the topic with a lighter touch than you’d expect. I was somewhat reminded of Talmudic scholar Daniel Boyarin’s treatment of “the story of Jesus Christ” in his book The Jewish Gospels (a book I extensively reviewed in The Unmixing Bowl, The Son of Man – The Son of God, and Jesus the Traditionalist Jew). Boyarin, of course, didn’t express personal faith in Yeshua as Messiah or assign any credibility, from his perspective, that modern Judaism could consider Jesus as Moshiach, but he is another Jewish voice saying that, given the understanding of the Torah and the Prophets in the late Second Temple period, it was certainly reasonable and credible to expect that some Jews, perhaps a large number of Jews, would have accepted Yeshua’s Messianic claim and even his Divinity. Today, for the vast majority of Jewish people, such thoughts are outrageous and offensive, but unwinding Jewish history and the development of Rabbinic thought back nearly twenty centuries, we encounter a different set of Judaisms than we observe in the modern era. We can’t really retrofit modern Jewish perspectives into the time of Jesus, Peter, and James anymore than the modern Church can insert post-Reformation and post-modern Christian theology and doctrine backward in time and into the original intent of the Gospel and Epistle writers, particularly Paul. Both inject massive doses of anachronism into the ancient Jewish streams of life when the Temple still stood in Jerusalem. Today, it takes a tremendous amount of courage for any Jewish person, under any set of circumstances, to say anything even mildly complementary about the ancient Jewish stream of “the Way” and that it might be reasonable to believe that in that cultural and chronological context, Jewish people, from fishermen to scribes, might see the Messiah looking at them from the eyes of Jesus. While our sources point to general adherence to Jewish law and practice by the earliest Christians, we must also remember that some deviation from the norms of the tannaim must have occurred already at the earliest period. Indeed, the sayings attributed by the Gospels to Jesus would lead us to believe that he may have taken a view of the halakhah that was different from that of the Pharisees,. Nonetheless, from the point of view of the halakhic standards, the early Rabbis did not see the earliest Christians as constituting a separate religious community. But, to complicate matters, different social groups and congregations often have their own versions of Torah that they enforce in these ways. Obviously, this situation is far from ideal. Fortunately, God is (in my considered opinion) not a perfectionist. Even as he calls us to holiness, he understands the limitations that surround us. For the most part, then, Torah observance is essentially voluntary and variable rather than compulsory and uniform. In fact, this is exactly the situation that existed in Yeshua’s, when the vast majority of synagogues were “unaffiliated” and most Jews practiced what has been called “common Judaism.” In common Judaism, Jews kept the basics of Torah observance according to their customs but did not acknowledge the authority of the sects (including the Pharisees) to impose additional laws. My understanding of what Rabbi Kinbar said was that while there was a basic or core set of standards and halachah that defined Judaism as an overarching identity and practice, not only were there multiple streams of Judaism (Pharisees, Essences, and so on), but significant variations of how Torah observance was defined among “different social groups and congregations” (and I apologize to Rabbi Kinbar in advance if I’ve misunderstood anything he’s said). What this means for us as we’re gazing into the time of the apostles, is that there were many different expressions of what we call “Judaism” back in the day, but in spite of all the distinctions, including one group who paid homage to a lowly Jewish teacher from the Galilee as the Messiah and Divine Son of God, they were all accepted as Jewish people practicing valid Judaisms. This situation changed with the destruction of the Temple. Divisions within the people, after all, had made the orderly prosecution of the war against the Romans and the defense of the Holy City impossible. The Temple had fallen as a result. Only in unity could the people and the land be rebuilt. It was only a question of which of the sects would unify the populace. Holding all of this diversity together in a Jewish land occupied by the Roman empire was difficult enough, and more so for Jewish communities in the diaspora, but the Temple was the common denominator (even if you lived so far away that you could only afford to make the pilgrimage rarely) that defined all Jewish people everywhere. The Temple was always the center, the resting place of the Divine Presence, the only place on earth where once a year atonement was made for all of Israel. As Schiffman points out, with their power base destroyed, the Sadducees where scattered to the winds. It could be argued that the Way, the ancient movement of Messiah worshipers, was a Pharisaic extension. We have indications that the apostle Paul not only did not abandon Jewish practice but remained Pharisaic throughout his life. 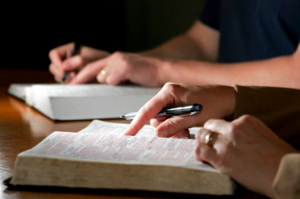 Many of Yeshua’s teachings most closely fit the theology of the Pharisees. Even my Pastor said that if we lived in ancient Israel (and we were Jewish), we’d be Pharisees, because they were the “fundamentalists” of their day, the populist movement among the common Jewish people, Am Yisrael. But the split would inevitably occur, perhaps not so much because one splinter group among the Pharisees, the Way, believed they had identified a Divine Messiah, but because a mass movement of Gentiles was entering that particular Jewish sect and, by definition, re-writing the nature of the movement as the majority Gentile membership achieved ascendency and as the Jewish membership were forced into exile, grieving a Temple and a Jerusalem left in ruins. Of the vast numbers of Greco-Roman non-Jews who were attracted to Christianity, only a small number ever became proselytes to Judaism. The new Christianity was primarily Gentile, for it did not require its adherents to become circumcised and convert to Judaism or to observe the Law. Yet at the same time, Christianity in the Holy Land was still strongly Jewish. As the destruction of the Temple was nearing, the differences between Judaism and Christianity were widening. By the time the Temple was destroyed, the Jewish Christians were a minority among the total number of Christians, and it was becoming clear that the future of the new religion would be dominated by Gentile Christians. Nevertheless, the tannaim still came into contact primarily with Jewish Christians and so continued to regard the Christians as Jews who had gone astray by following the teachings of Jesus. According to Schiffman’s commentary, as long as the “Christian” movement was largely controlled by Jews, it was a Judaism and Jewish people who believed that a Jewish Rabbi was actually the Messiah were still Jewish. In fact, in that time and place, it was probably a no-brainer. No one would have even questioned that any Jewish adherent to the Way wasn’t Jewish, anymore than any Jewish person today would question the “Jewishness” of a Chabad adherent believing their beloved Rebbe will one day be resurrected as the Messiah. Schiffman said that other Jewish streams would have considered Jewish Yeshua-believers as misguided but Jewish, much as other Jewish streams might consider the Chabad and their attitude about the Rebbe today. 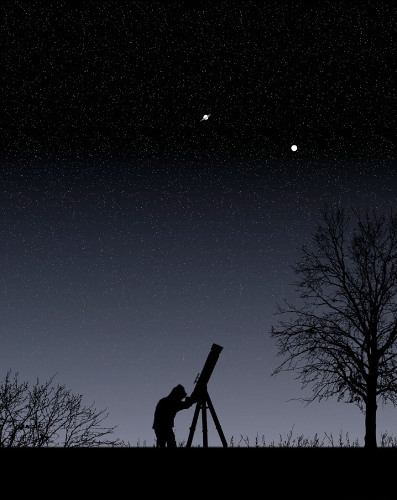 If today’s Jewish people (or for that matter, today’s Christians) could look through that long telescope back to the world of Peter, James, and Paul, they might gain a vision that would help them see what I see in today’s Messianic Jewish movement; a perspective that illuminates the “Jewishness” of those men and women who are observant Jews and who have put their hope in the Messiah, who once walked among his people Israel as a teacher from the Galilee who went about gathering disciples, and ended up revolutionizing the world.